At last we find ourselves in Peru. We are not invite sure how long this leg will take us, it depends in a large part how long we stay on the coast route...which is straight and flat, but a little boring. 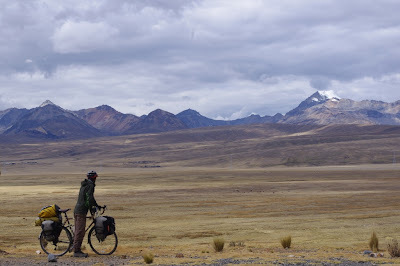 Riding through the Peruvian Andes will multiply our cycling time through the country by three or four... But the mountains are oh so beautiful, so we are bound to be drawn up to them sooner rather than later. Help Us Raise Funds !